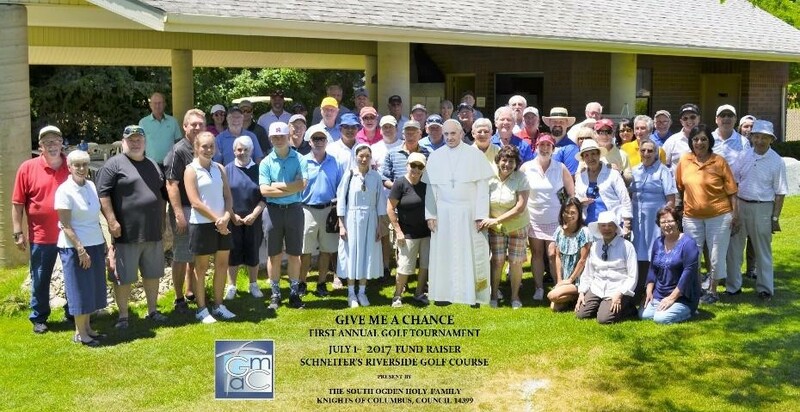 In July, we held our First Annual Golf Tournament Fundraiser. It was a beautiful, sunny day as golfers arrived early in the morning at the Schneiter’s Riverside Golf Course to sign in and begin their games on the green. Friendly competitions were a familiar sight. Special guest, Bishop Oscar Solis, played with two Daughters of Charity! After the games were over, lunch was served while tallies were totaled for prizes. 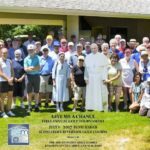 Before the afternoon was over, everyone was surprised by a special visit from resident Pope Francis – and excitedly gathered together for a photo with him!